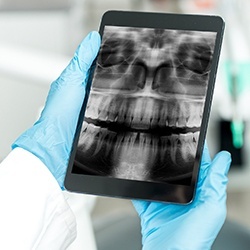 Technology is evolving faster than ever, and the exact same can be said for dentistry. You need to look no further than our practice to see evidence of that. At our practice, Dr. DeAngelo and our team constantly invest in the latest technology in order to provide our patients with even higher-quality, precise, and comfortable care. With these tools, we’re able to diagnose and treat a wider array problems in even less time. X-rays are an essential part of dentistry, allowing dentists to see what the naked eye cannot as they inspect patients’ smiles. Today, our practice features digital radiography as a big improvement over traditional film. With this system, the X-rays we capture will be developed and stored in our computer system instantly – no waiting on a darkroom. Plus, the number of radiation patients will be exposed to is dramatically reduced by up to 90%, making them safer as well. We enjoy elevating our care approach however we can through new tools and techniques, and electric handpieces are a great addition to our Homer Glen practice. This technology provides a smooth, effective touch that is much more comfortable for the patient. The torque (twisting force) is kept at a constant and steady pace, and patients won’t have to worry about their ears pricking with the annoying, high-pitched whine that you’ll find in many other dental practices. One of the biggest reasons people feel anxiety when they come to the dentist is the mystery related to the entire process. You sit in a chair with highly-educated people looking into your mouth for minutes on end, and then they talk about what they have observed. The issue is, patients often have a very vague idea of what their dentist is actually talking about. Humans are visual creatures, and without images to help everything make sense, many people are left with an unnerving uncertainty about their dental care. Thankfully, our office uses intraoral cameras to change all this. This small, camera-tipped wand can be easily maneuvered through the mouth to capture high-resolution images of the teeth and gums. These can then be displayed on a large, chairside monitor for you and your dentist to see. 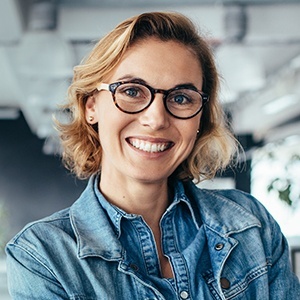 This will make it much easier for our team to spot dental problems, and it’ll also finally let you see your smile from your dentist’s point of view, allowing you to actually see what they are talking about for the first time. You’ll be amazed at what this will do to your perspective about your dental care. Dental laser are quickly replacing more traditional tools such as dental picks and drills, and most patients couldn’t be happier. With a soft tissue laser, our team is able to address one of the most common and harmful dental problems in the world today, gum disease. 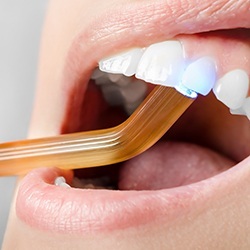 This tool uses a concentrated beam of light aimed directly at the gums to quickly eliminate harmful bacteria that can cause a variety of oral infections. Fortunately, the light is very precise and creates very little heat, making it extremely comfortable to use. Plus, it can also be used to painlessly remove infected tissue, and it’s able to do this without affecting any of the surrounding healthy gums. This will not only make the treatment itself more comfortable, but it will also reduce any pain or swelling a patient may experience after treatment. It’s even able to cauterize blood vessels as it goes to curtail even the slightest bleeding. 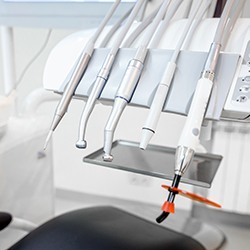 X-rays have been an important diagnostic tool in dentistry for decades, enabling caregivers to find potentially hidden problems beneath the surfaces of the teeth. Compared to traditional, film-based x-rays, digital x-rays are able to create images much faster while exposing a patient to 90% less radiation. In order to gain a deeper understanding of your dental health and structure, we can use what is called a panoramic x-ray. 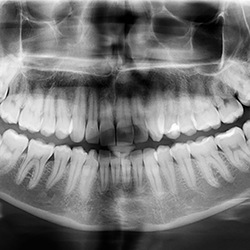 Much like the option on your phone that allows you to take an extremely wide picture, this kind of x-ray will display your mouth and jaw as one long, cohesive image. This will not only allow us to see the roots of your teeth and the formation of your jaw but also how they relate. We’ll be able to more precisely plan treatments in order to ensure their success as well as lessen any discomfort you might feel, creating a smoother, easier patient experience overall. If you’ve ever had a dental impression taken with dental putty, then we imagine it wasn’t your favorite experience. This material feels goopy, tastes odd, and often traveled down the throat causing many patients to gag. 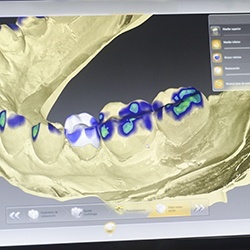 We decided this simply wasn’t good enough for our patients anymore, which is why we decided to start using the iTero® Digital Optical Scanner for all of our restorative and Invisalign treatments. This small scanner will be easily moved throughout your mouth, taking hundreds of unique images. On a nearby computer monitor, you’ll see these images become “stitched together” to create a fully 3D impression of your teeth. This process is not only much more comfortable than taking a traditional impression, but it also creates a more highly-detailed model of the teeth. This, in turn, will make sure any treatment we use it for, whether that be a dental crown, bridge, or Invisalign, will fit better, last longer, and create even better results. Tooth decay is one of the most common problems we tackle in dentistry, and often the best approach is to try to prevent it rather than let it develop in the first place. 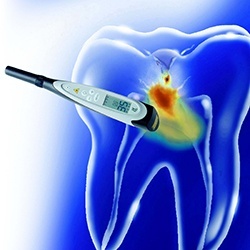 With our DIAGNOdent Laser-Assisted Cavity Detection System, this is now easier than ever. 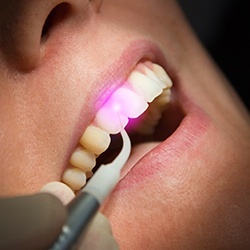 This tool uses a highly-concentrated beam of light to scan the enamel, and it’s able to detect even the slightest indications of thinning, much smaller than what a traditional exam would find. 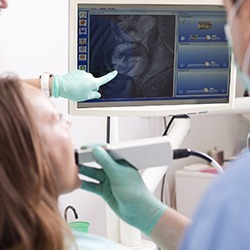 It creates a readout our team can quickly analyze, and with this information, we can utilize a variety of conservative treatments that stop a cavity from forming in the first place. Over time, this will help you and our team preserve more of your natural dental structure, which one just be better for your smile’s health, but your wallet too. By catching and fixing problems as early as possible, we’ll save you from having to get more involved procedures over time, which will help keep your dental costs nice and low. ViziLite is an advanced tool that can be used to identify abnormal cells in the mouth and throat that may signify the presence of oral cancer. Our team will administer a special rinse to the patient and then use the ViziLite technology to scan. Suspicious areas will begin to glow, alerting us to the need for further testing. By performing these screenings on a regular basis, Dr. DeAngelo hopes to catch oral cancer at its earliest stages.